Xyleme is the Learning Content Management System (LCMS) of choice for the visionaries who are looking for innovative ways to change the way learning is created and delivered. Studio, Xyleme’s Authoring platform, allows teams to author collaboratively, create consistent branding with templates, and author once in XML and publish to any web, print, or mobile format. Single-source authoring in Studio keeps all modalities synchronized allowing teams to save time and money on content development and publishing. 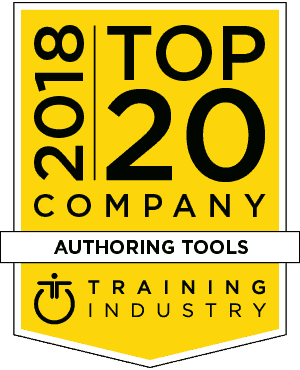 Xyleme is pleased to be named a Top 20 Authoring Tool and will continue to enhance the platform to provide an innovative solution and remain an industry leader. To learn more about how Xyleme can assist you with your learning content management challenges, please visit www.xyleme.com.